Our microdermabrasion machine diamond kit is compatible with any ClearFX Skin microdermabrasion machine. Make your crystal machine crystal free in just minutes. The kit comes with three wands and nine different grid size tips. The tips can be sterilized and used time after time. 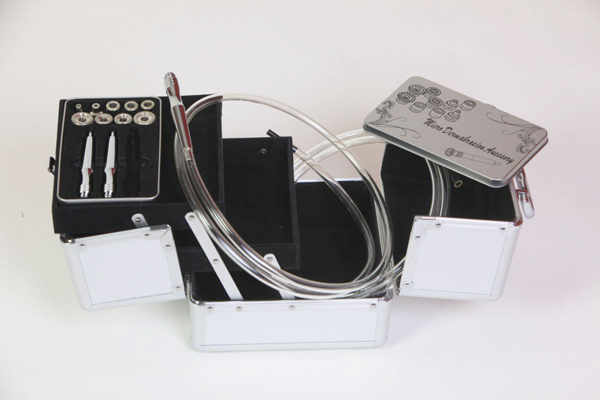 With this kit you will be able to offer your clients a diamond treatment without having to purchase a new machine. The kit is easy to use and is universal for every ClearFX Skin microdermabrasion system out there. OR BUY ON SALE AND GET $300.00 OFF RETAIL PRICE!! !